run, zoe, run! : Running Tanks! I ended up using Spreadshirt.com (Thanks Genesis!) because I liked the color/style variety and the prices were reasonable (and I didn't want to pay nearly $30 for a tank top). Plus, I went a little overboard and starting designing other tees and shirts and such, which led me to set up a "shop" just for sh*ts and giggles. And YOU KNOW I'm totally working on a nekkid semi design! It's in the works, folks! Ha ha! I'll keep you posted. 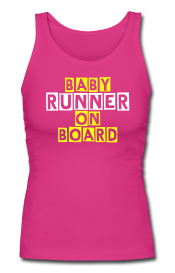 Speaking of what you will "run for," I saw a maternity top on the Cafepress site that said "Will run for wine." Uh. Ok? Not cool? Normally I'd be all for that slogan, but on a maternity top? Notsomuch. lol i like the "you got chicked by a fetus" idea :D Your tank is so stylish though :D You're gonna want to wear it every day! Love the fetus slogan LOL. you know I'm totally ordering that...and it fits right into my color palette of t-shirts....grey, black, and grey. 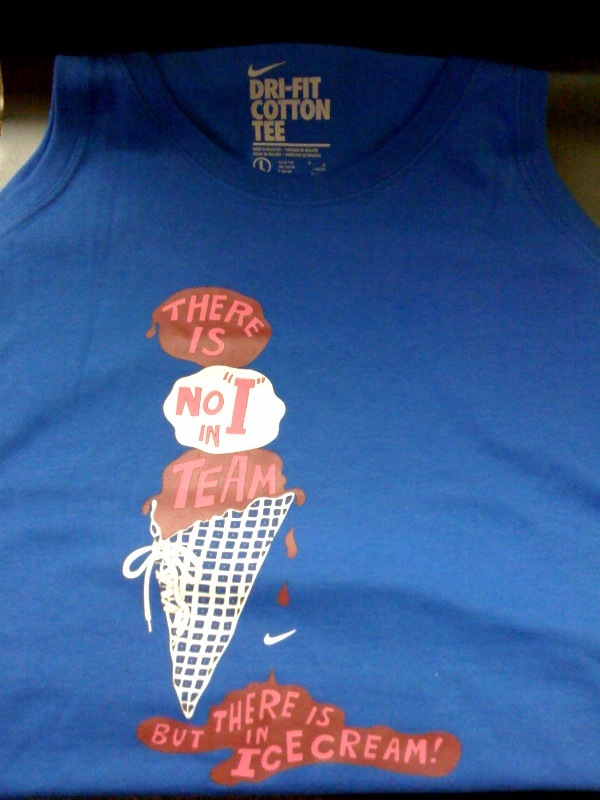 I NEED that shirt from nordies! That's amaazzzing!! Very cute! Ooo. I need to make a shirt for something. How much was the team shirt at Nordies? That shirt looks great! It looks like a really fun website. OK OK, sorry, I promise, I've got a good reason to be a freak. That doesn't excuse me: I should have thought critically about who's blog I was reading before I freaked all out on you. Love your tank idea and design! Glad you found somewhere reasonable to print. The fetus-chicking slogan wouldve been awesome too! SOOO CUTE!! You and I will wear the same size, but you wil be 8 months prego.. LOL!